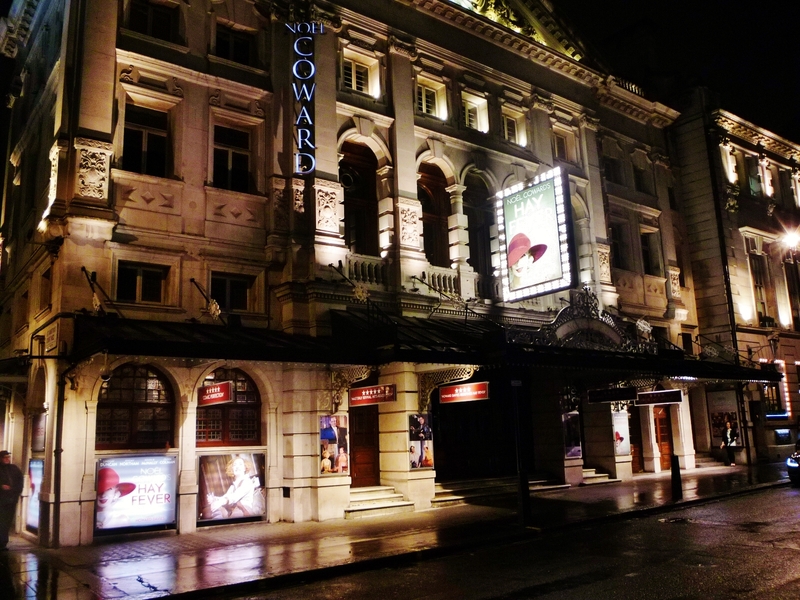 "Hay Fever" at the Noel Coward Theatre, St. Martin's Lane. 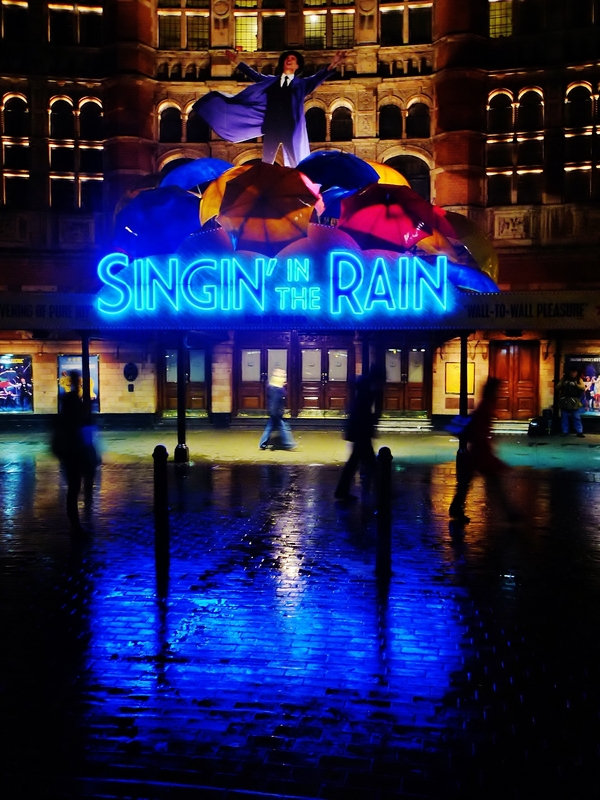 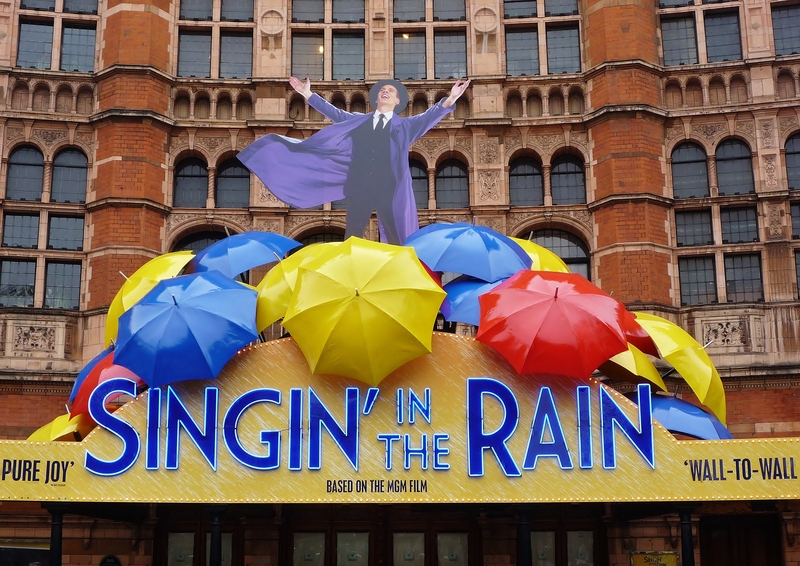 "Singin' in the Rain" at the Palace Theatre, Cambridge Circus. 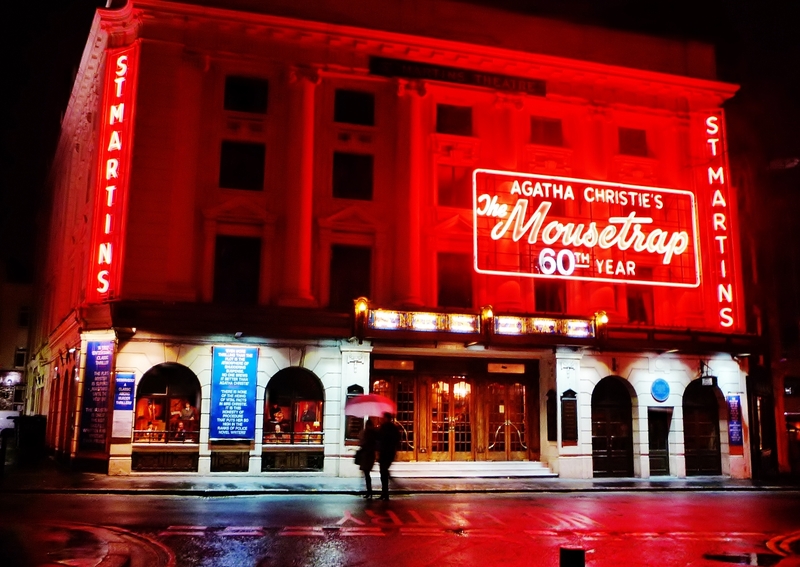 "The Mousetrap" at St Martin's Theatre, West Street.